1:5:10:074 Tip: Electrical outlet testers can determine if a homes electrical wiring is properly grounded and if there is reverse polarity. Improper wiring can shorten appliance life and lead to safety concerns. 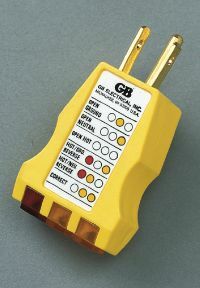 Electrical outlet testers are available for about $5 at any hardware store.